The new Richland County Public GIS Viewer can be used to locate a property, zoom into the map and use the red exclamation point (Identify) to select one or more parcels. Or, you may enter a parcel number/site address from the search menu, once selected click on any of the records displayed in the Search Results to obtain detailed information. Note: Please inquire about the Subscription Viewer to perform more advanced functions. Contact the Property Lister for more information. The Southwestern Wisconsin Regional Planning Commission (SWWRPC) is the area-wide planning and development agency serving the five counties of Grant, Green, Iowa, Lafayette, and Richland. It was created in 1970, formed by executive order of the governor. Wisconsin statutes specify that regional planning commissions are to provide intergovernmental planning and coordination for the physical, social, and economic development of the region. The WLIA is a grassroots organization representing a collection of concerned professionals working to develop, maintain, and apply a network of statewide land information systems. WLIA members include staff and elected officials (from all levels of government), academics, consultants and other private sector users of geographic information systems (GIS). We are united by an interest in land records modernization, GIS, and related technologies, and by the need for government policies and programs that support their efficient and effective application. WLIA is open to individual, non-profit and corporate members (membership is included in Conference registration fees). The Wisconsin Land Information Clearinghouse (WISCLINC) is a gateway to geospatial data and metadata, related land and reference information, and the Wisconsin agencies which produce or maintain these items. WISCLINC is also a registered node in the web of NSDI clearinghouses. 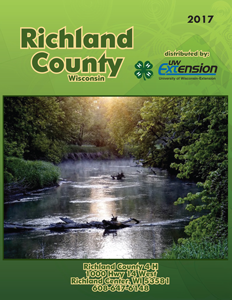 OLIS provides staff support to the Wisconsin Land Council, and it administers the Wisconsin Land Information Program in conjunction with the Wisconsin Land Information Board. It also houses Plat Review and Municipal Boundary Review, both of which have statutory authority for approval of specific land use related requests, and the GIS Services, dedicated to the efficient use of geographic information systems. WAAO is a volunteer organization dedicated to assessment education and professionalism. Their mission is to promote the public good by ensuring equitable assessments. Their commitment is to promote assessment education by providing improved knowledge and skills in the assessment field, increasing ethical and professional standards in assessment, and encouraging a public understanding of assessment and taxation. Also, WAAO is actively dedicated to monitoring and promoting legislation affecting assessments. WISCLAND is a voluntary partnership of public and private entities seeking to facilitate statewide landscape GIS data development and analysis. WISCLAND partners work together to accomplish more than they could individually, and to improve the quality, accuracy and consistency of their shared results. The Urban and Regional Information Systems Association (URISA) is a non-profit association of professionals using Geographic Information Systems (GIS) and other information technologies to solve challenges in all state and local government agencies and departments. URISA promotes the effective and ethical use of spatial information and information technologies for the understanding and management of urban and regional systems. Information, education, and advice on mapping and spatial data in the state of Wisconsin. WCA is an association of county governments assembled for the purpose of serving and representing counties. The Wisconsin Register of Deeds Association offers information on document preparation, forms, links to other Register of Deeds offices, birth, dealth and marriage records and frequently asked questions. The Wisconsin County Treasurers’ Association is comprised of County Treasurers within the State of Wisconsin. Our mission is to stimulate professional development; promote unity and assistance among our members; to advocate an exchange of ideas and information, along with a spirit of cooperation with the state departments, legislators, local governments and County Boards; and to promote ideas for operating efficiently and effectively as fiduciaries of our counties on behalf of the citizens of the State of Wisconsin.